Sri Lanka, an island country off the coast of India in the Indian Ocean, has been decimated by monsoon rains. 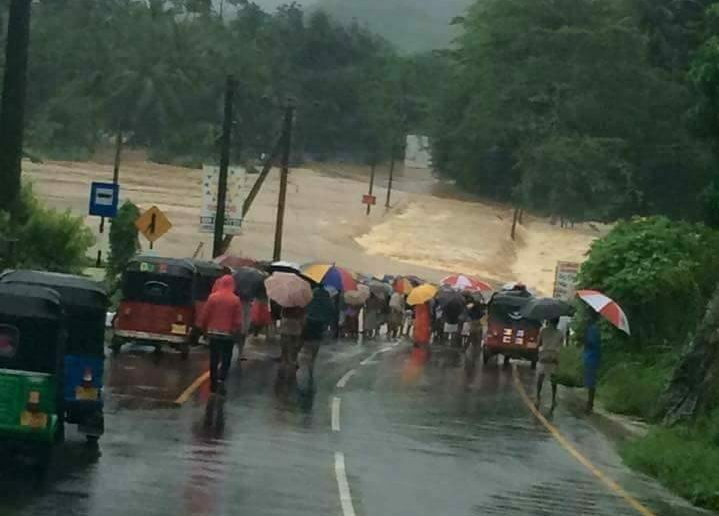 The flooding has impacted the entire country, with the brunt of it being around the capital city of Colombo. 600,000 have been displaced, almost 200 are declared dead, and at least 100 are still missing. BCM Sri Lanka has multiple churches, pastors, missionaries, and volunteers who are not only aiding in the rescue effort, but are personally affected by the damage.The Sri Lankan government has reached out to BCM Sri Lanka for help in the rescue efforts. Funds from BCM will go towards clean water, clothing, food, and building repairs. We ask you to first pray for God to stop the rains that continue to be in the forecast. Pray for the safety of the BCM volunteers, some working around the clock in the rescue efforts. As God leads, your secure donation can be given here. All donations will be given directly to the BCM Sri Lanka team.